In the 1970 Emmy-award winning documentary, To Be Free, Nina Simone declares, “an artist’s duty, as far as I am concerned, is to reflect the times.” Simone spoke at a moment when matters including racial and gender equality demanded a reckoning in American cultural life, the reverberations of which we feel and strive to address to this day. For Jason Lazarus—a dedicated arts and political activist—Simone’s impassioned statement is expressed as a personal and professional directive in the series 202-456-1111. 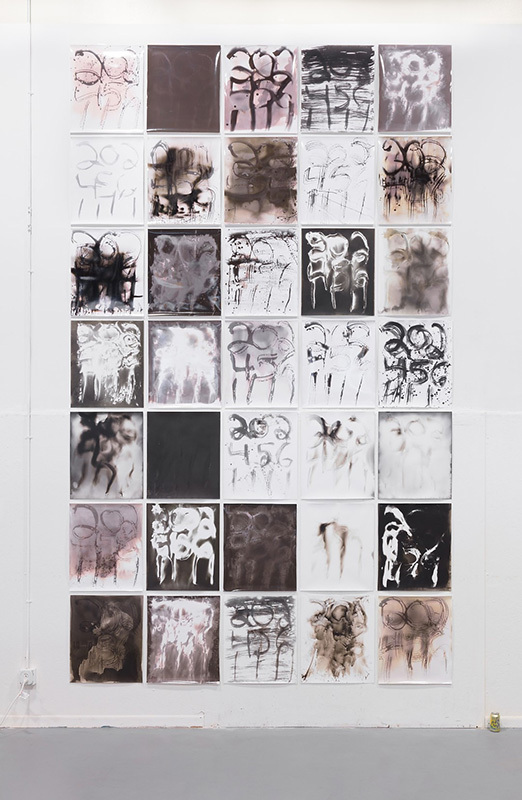 In an email exchange, Lazarus described the creative process as a “production line.” Working with an assistant in an unoccupied darkroom at the University of South Florida, Lazarus draws the number on paper treated with light-sensitive chemicals. 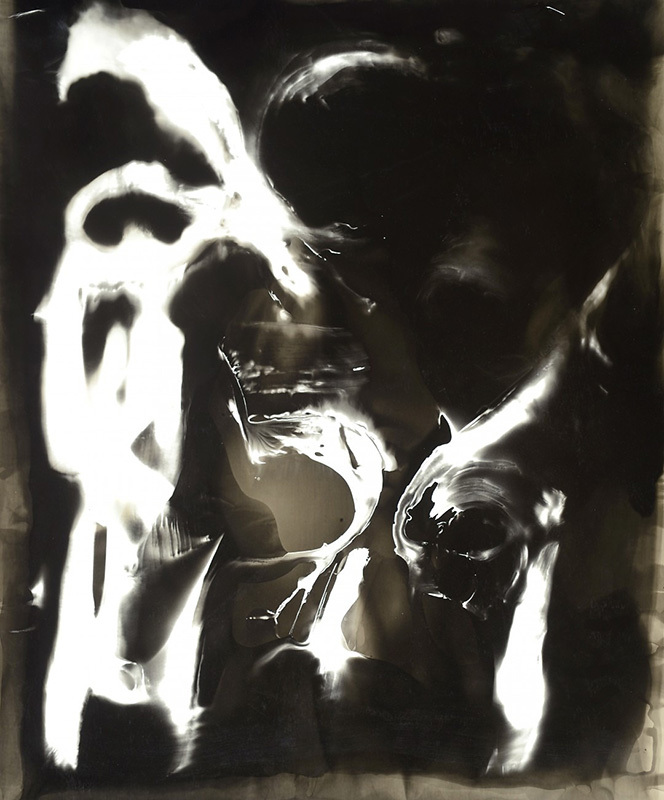 Lazarus and his assistant then expose each sheet to different light sources – a flashlight, the light from his cell phone – which predictably produce different results. The digits are clearly recognizable in some compositions. 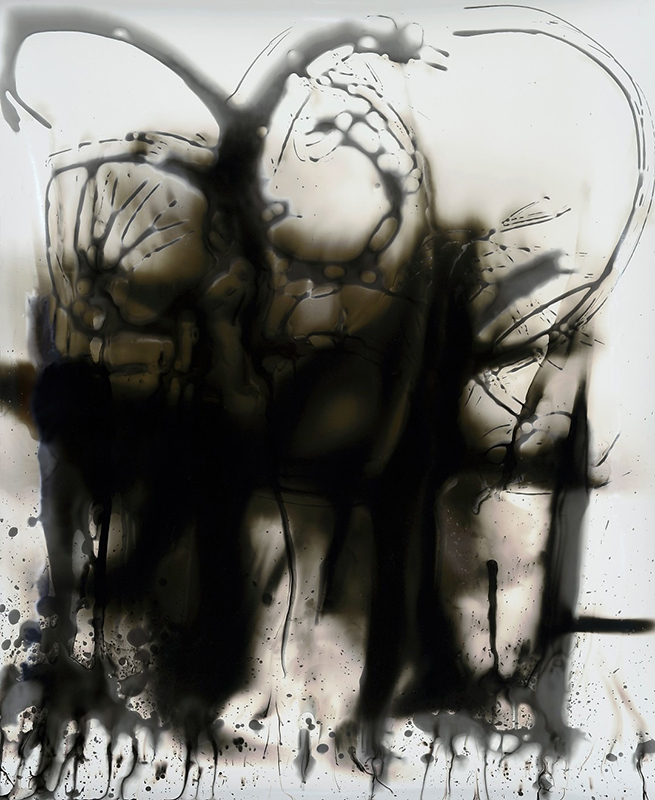 In others, those exposed to less light or produced as the degraded chemical bath reaches what Lazarus describes as “fatigue,” the numbers slip into abstraction. Lazarus also notes, with measured enthusiasm, the joy of watching what happens when careful efforts to separate the stop bath and developing chemicals are abandoned and production is given over to controlled chaos. It is, as the artist notes, “fast, dirty, regular and rhythmic—much like good activism!” From beginning to end, it is an experiment. 202-456-1111 is the culmination of these fast and rhythmic experiments: the inaugural image is legible and immediate, the numbers crowded into the front plane, no depth or perspective permitted. By contrast, the culminating pieces are nearly pitch black, the numbers obscured. 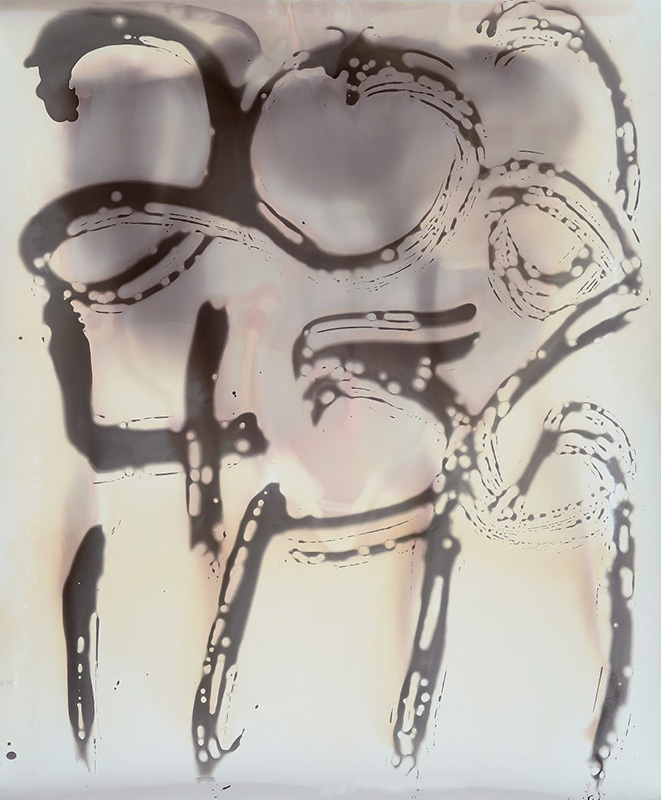 Even in reproduction, the photograms suggest the artist’s profound physical engagement in their production. 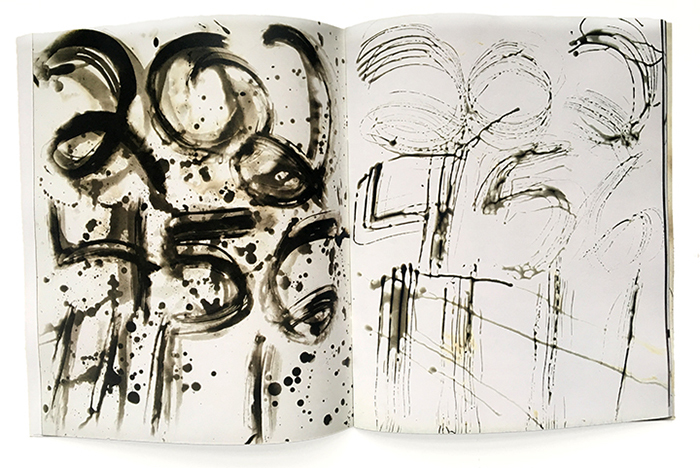 Lazarus’ mark-making is generous, almost sloppy, and intentional, suggesting that he may achieve the meditative state that repetitive tasks offer. It’s a fool’s errand to assign artistic intent or meaning, but speculation is fair game. 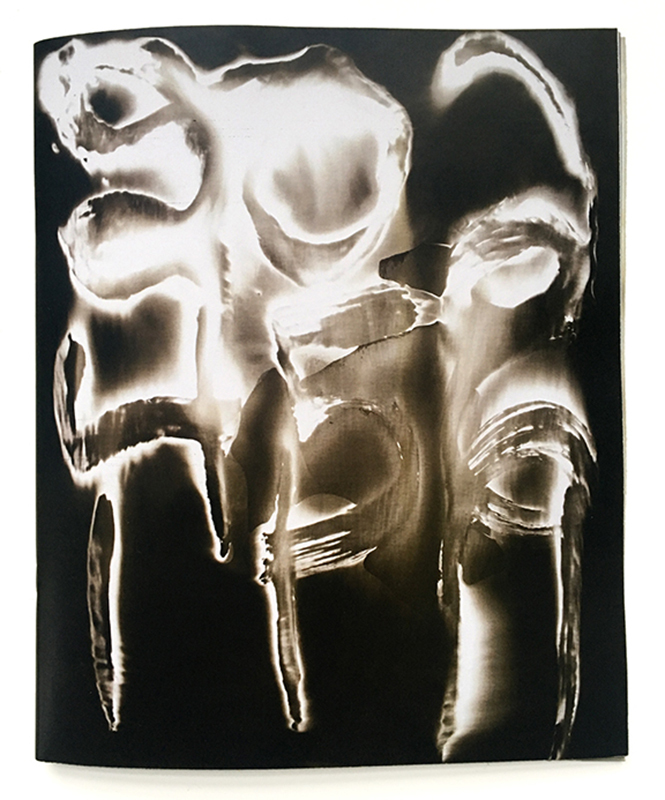 From that perspective, one could argue that studio work, or the gestural repetition captured in the photograms, offers a familiarity that our wider socio-political context lacks. One could also analogize that these objects (the originals are donated to nonprofit organizations for fundraising purposes) represent the darkness through which we are collectively stumbling, searching for scant light and “dreaming of something better,” as artist/activist Martha Rosler writes in her poetic companion essay. Or, as the digits invite, we could interpret it as our duty to call, to collaborate, to protest with all available resources.